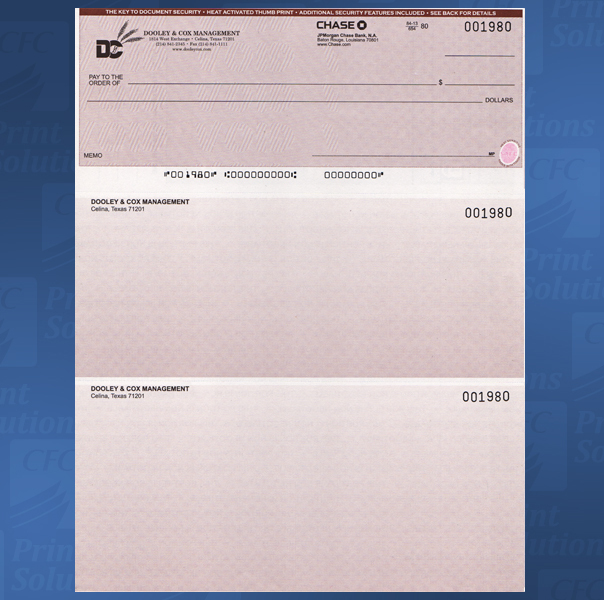 New... ECON Digital laser checks….only from CFC Print Solutions. 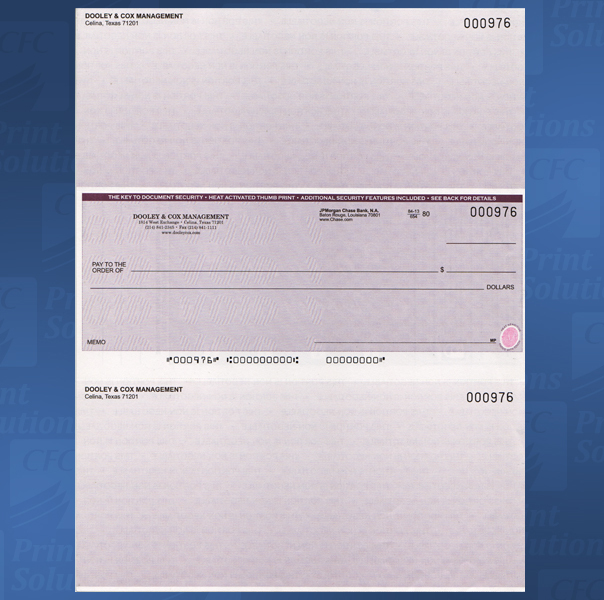 ECON Digital laser checks are economical & high quality preprinted litho check backgrounds featuring a digitally imaged custom black imprint. We have eliminated prepress and printing plates making ECON Digital checks a supreme value with the fastest delivery available in the industry. We designed ECON Digital to appeal to cost conscious end users and for national check programs that are price, quality and delivery sensitive. Available in quantities starting at 100 up to 2500 checks. Two background pattern options are available in dark blue, light blue, green, brown or maroon ink colors. A void pantograph option is also available in either dark blue or green ink. 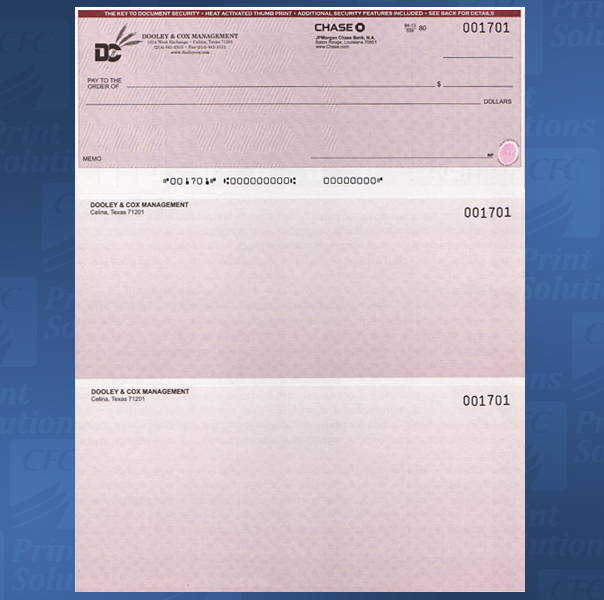 ECON Digital laser checks now come with CFC's exclusive Digital Micro Validation technology. 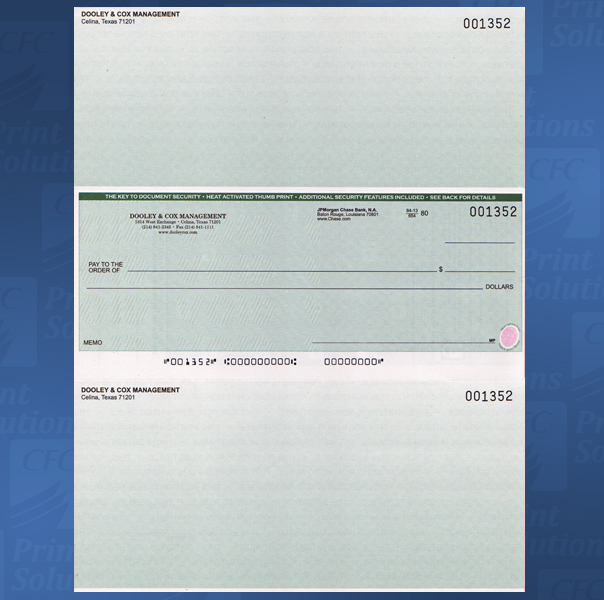 Signature line verification is consecutively numbered micro print located in the signature line of our digitally imprinted check. 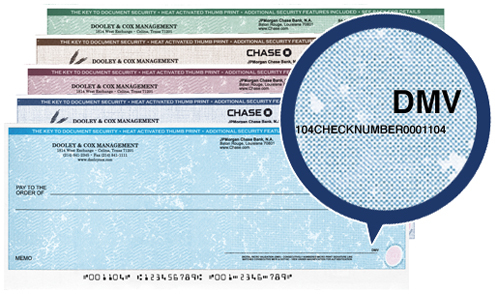 The consecutive check number is a clever and overt authentication feature that matches the consecutive gothic number while actuating from check to check. 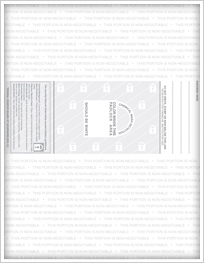 Digital Micro Validation is the latest patent-pending technology offered by CFC Print Solutions. VERY Fast... Orders received in-plant by 10:30 a.m. CST will ship same day. 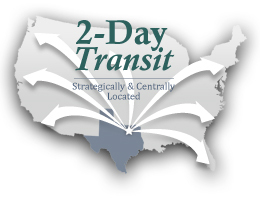 3 1/2" and 7" perf locations... plus 3 2/3" and 7 1/3"
ECON is a robust offering of preprinted check shells... which can be ECONomically litho imprinted in dense black ink for quantities of 250 up to 5,000. Three pantograph and eighteen (18) color options plus check panels on the top, middle or bottom position provide a wide range style and sophistication. Plus, all ECON documents are preprinted with a heat sensitive thermochromatic safe icon which is sensitive to touch and adds additional security to prove authenticity! ECON... a custom look at an ECONomical price! NULO is also available with a black litho imprint. 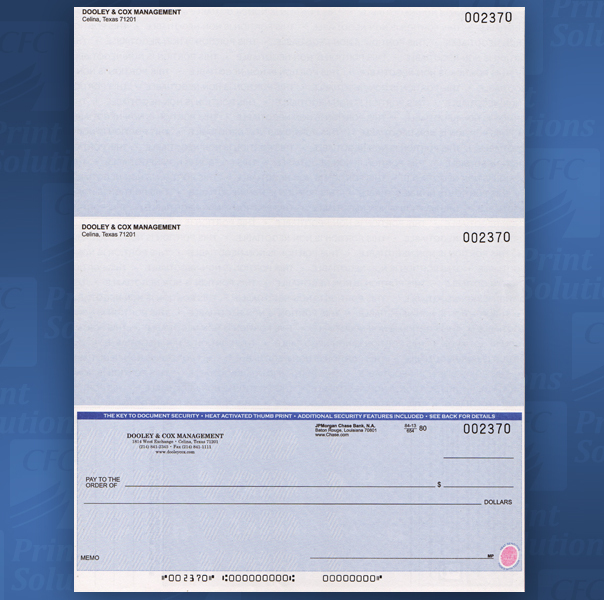 The black imprint can be used to customize software compatible and other check applications. Consult factory for pricing and delivery. NULO is available in quantities of 500 and up.